For anyone wanting to buy a tablet, most will usually shun at the thought of clones that are "Made in China" (MIC). Once it is known that the tablet is a MIC tablet and the branding logo is unheard of, we'd usually brand it as unreliable and of poor support. However, we tend to forget that nowadays, almost all electronics are MIC, even the big brands such as Apple, HTC, Asus have manufacturing plants(or outsourced) in China producing their smartphones, laptops and tablets. With the high number of devices being made there in contract plants and factories, it is no wonder when cheap remakes of the original models are produced with lower specifications but with a similar outlook. Seen here at Ubergizmo comparing the Samsung Note 2 with its clone counterpart that looks identical but with inferior specifications. Only the appearance count for some. That being said, there is also a genuine demand for tablets with better specifications regardless of the branding. 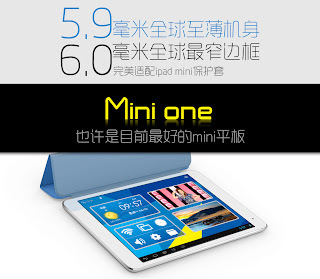 And in the month of May 2013, Yuandao(原道), a company that has been producing their own brand of tablets for some time, actually came out with a tablet that is reasonably priced with specifications that surpasses some of the major brands. 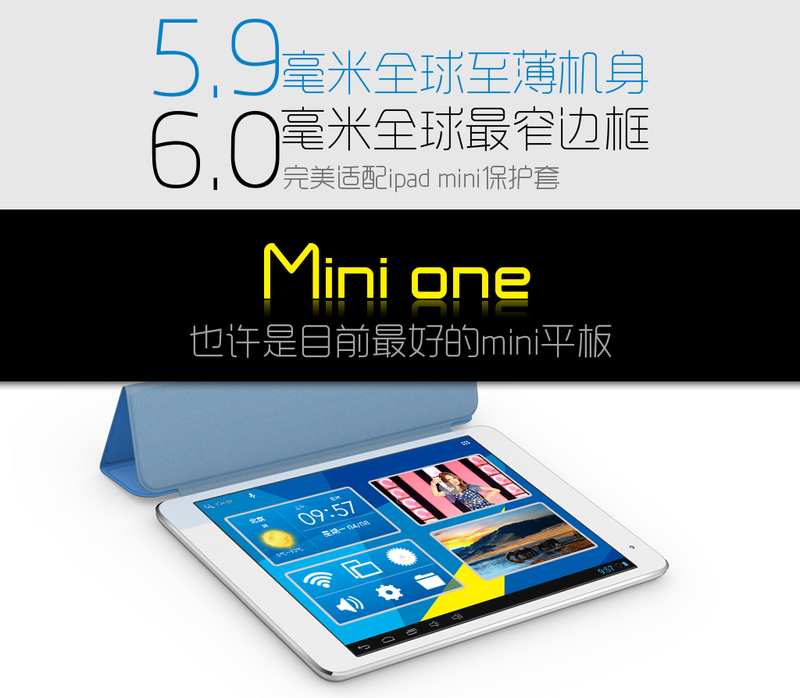 The Vido Mini-One is claimed to have a slimmer profile than the Ipad Mini, and with the weight of 300g, it is quite the tablet to carry around effortlessly. Though shamelessly taking after the form factor of the Ipad Mini, this MIC tablet does not have any front facing buttons. The IPS screen is also another feature that is desirable with a wider angle of viewing and colors that are more brilliant and vivid. According to the Yuandao website, the screen bezel is also thinner around the screen's edges, ie more viewable area compared to the Ipad Mini. This tablet runs on a lesser known processor aka Rockchip. However, in terms of the processor architecture, it is still largely ARM. The Rockchip Quad Core(rk3188) processor on this tablet is a Cortex A9 processor of 1.8GHz with 28nm process technology. It comes 2gb ram and 16gb built in flash storage and a Micro-SD slot that supports up to 32gb cards. With a 4000mah battery and only wifi connectivity, the tablet seems to be quite light on power consumption, likely due to the 28nm process technology. After using the tablet for 3 days, the only negative thing I have to say about this tablet would be it's wifi range. Compared to my other hand held devices, the Vido Mini-One is more prone to disconnecting with my wifi access point at the same range of distances. Perhaps a future firmware update may solve the issue. This tablet will almost definitely appeal to those whom are into the aesthetics as the appearance of the tablet very much resembles the Ipad Mini. Techies will be attracted to the Quad Core CPU that benchmarks higher than some of the other Quad Core CPUs such as the Tegra 3. To see the full specifications and features of the Vido Mini-One, please head on to the company's product page here.